What it’s about: The neighborhood oak and all the stories she has witnessed and watched over in her 200 plus years. What made me pick it up: I’d seen it recommended on Twitter. My favorite parts: I love that it’s from the point of view of a tree. This is such a sweet story of friendship and community and how things so simple, like friendship and acceptance, are so difficult for humans to attain sometimes. It also has a wonderful theme of environmental conservation and protection. Not only is the tree character great, but there is a whole menagerie of wild animals to meet as well including one very precocious crow. I also enjoyed that this book is fairly short and quick, being middle grade. An excellent reminder to all ages to build bridges and foster appreciation. Who it’s great for: Middle grade readers on up, especially fans of The Giving Tree. What made me pick it up: I was already thinking about reading this, but I made it my top priority after his daughter, Erica, passed away in late December. My favorite things: Though at times it feels a bit voyeuristic, Taibbi dives deeply into the lives and histories of numerous people involved in or impacted by Garner’s death. He is very thorough in his reporting in order to paint a more complete picture of exactly how and why Eric Garner dies. Who it’s great for: True crime readers. Those interested in the human stories involved in racial profiling, police violence, and systemic discrimination. What’s it about: A thorough history of the ways in which the government – local, state, and federal -created and has maintained segregated communities in the United States. What made me pick it up: A colleague read this and recommended it. My favorite things: Rothstein is incredibly thorough. He delivers a lot of informative content in an accessible way and uses a lot of evidence to back up his claims. There is a FAQ section at the end where he addresses questions that might still linger. Who it’s great for: Readers interested in racial justice. Those interested in US history, discrimination, housing law, or civil rights. I’d recommend reading it with Desmond’s Evicted. What’s it about: A New Orleans-based family saga that traces the history of racial disparity from the days of Jim Crow through modern post-Katrina reality. What made me pick it up: I saw that this got long-listed for the National Book Award in Fiction, and thought it sounded like a good compliment to Jesmyn Ward’s Sing, Unburied, Sing, which I really enjoyed (and which actually won the award). My favorite things: While this doesn’t dip into the supernatural they way that Sing did, it still traces similar themes that I was hoping to find. Each character experiences specific manifestations of systemic racism unique to their era but undeniably tied to those of the other generations. The lines between each are clear, with the desperation escalating in younger characters. The people missing from each character’s life have almost as much of an impact on their stories as do those who are present. Who it’s great for: Fans of family histories that trace multiple generations. Readers looking for writers telling complex stories of the African-American family; fans of Jesmyn Ward, Tayari Jones, and Angela Flournoy. What it’s about: Baldwin writing a letter to his young nephew, telling him how it is to be a black man in America. What made me pick it up: Abby mentioned it was very short, and I’d been meaning to read it so I checked it out. We both finished it in one sitting. My favorite things: This really reminded me of Between the World and Me (as it should, since that is structured similarly and inspired by this) — beautiful writing, and unfortunately timeless observations about the treatment of black people in this country. I wish this weren’t still so resonant, but that is not the case. 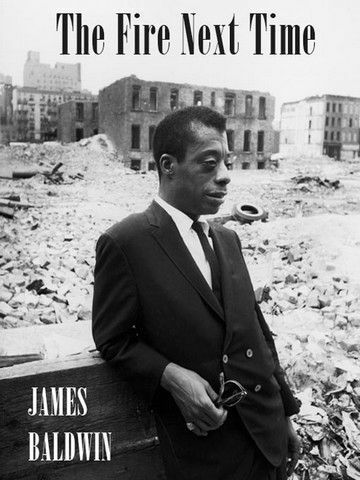 Baldwin talks about the difficulties of maintaining relationships with people of all colors during the distrust of the black power movement and his hopes for a more equal standing for African Americans in future America. I also learned a fair amount about the Nation of Islam and the empowering effect the Muslim religion had on African Americans in the 60s. Who it’s great for: Anyone reading voraciously on the themes of racial justice. Find this book in your local library or on Amazon. What it’s about: An 11-year-old African-American girl named Stella growing up in a small North Carolina town in the 1930s and all the challenges she and her family and other African-Americans in her town face. What made me pick it up: It came up when I placed another book on hold as a suggestion, but I can’t remember what that book was anymore. I’ll pick up almost any title with racial justice themes these days, so I think that may have played a role. My favorite things: The language in this book is beautiful. I liked how just because it’s a children’s book it didn’t shy away from brutality and injustice to favor a happy ending. The depictions of bravery by young children like Stella, and family and community are very heartwarming and heart wrenching all at once. Who it’s great for: Anyone interested in the poor treatment of African-Americans in the south during the Jim Crow era. Find this book in your local library or on Amazon(affiliate link). What it’s about: A teen girl watches her oldest friend as he is murdered by the police. She contemplates Tupac’s concept of THUG LIFE (The Hate U Give Little Infants F***s Everyone) while struggling to stand up for her community. What made me pick it up: This has been getting crazy good press so I scooped it up as soon as I could. My favorite things: Starr’s voice is genuine and her heartbreak palpable. Thomas captures the essence and urgency of the Black Lives Matter movement without exploiting or forgetting the real lives that have been lost. The current movement is tied to the past through more than Tupac’s words; reminiscent of the response by Bloods and Crips to the Rodney King verdict, local opposing gangs band together to protect their communities and join in protest against the violence they face at the hands of the state. The overall effect is both breathtaking and devastating. Who it’s great for: Teens and adults looking to understand and process the violence faced by communities of color in our society. Pick up a copy of this book at Amazon (affiliate link) or in your local library.